Embark on a magical journey with Elvenar, the newest strategy simulation game from Innogames that takes you to an epic empire-building adventure. Innogames is best known for their great roster of city simulation games. Some of which include the successful Tribal Wars series and the Forge of Empires. 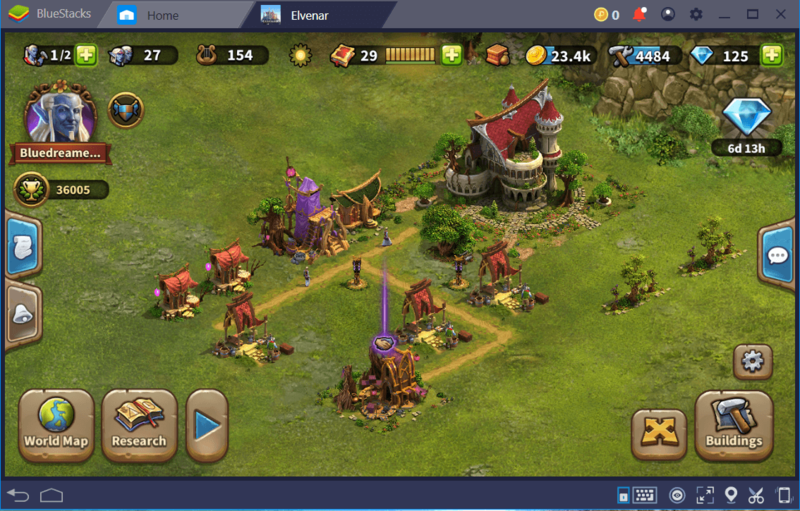 If you have already played empire building games like the critically acclaimed Clash of Clans by Supercell or the March of Empire: War of Lords by Gameloft, then you know how exactly Elvenar works. The drill is basically the same with your typical strategy simulation game but Elvenar still offers unique elements that separate it from the common MMO games today. Generally, the game takes you to the world of Elvenar and your goal is to build an empire, create a sustainable environment , build a stronghold and expand your territory. 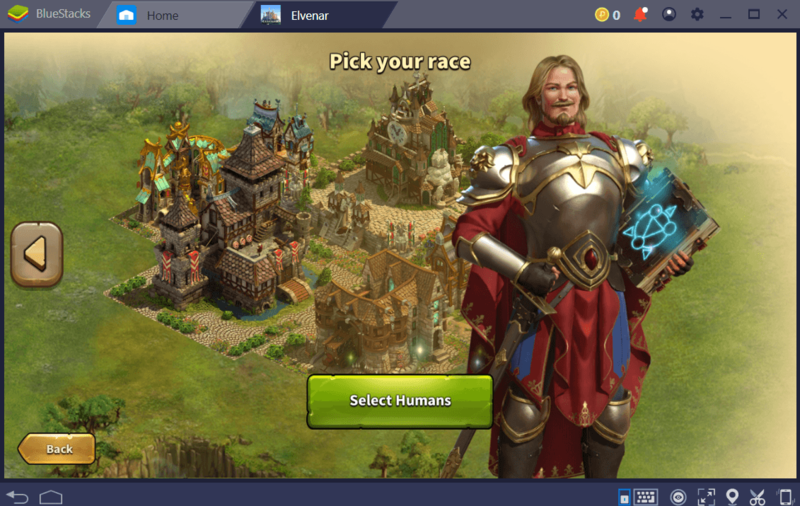 You start off the game by choosing your preferred race which is either Humans or Elves. Interestingly, each race has its own advantages and disadvantages when it comes to productivity and efficiency. After choosing the race, you will be engaged on a series of quests in order to progress. 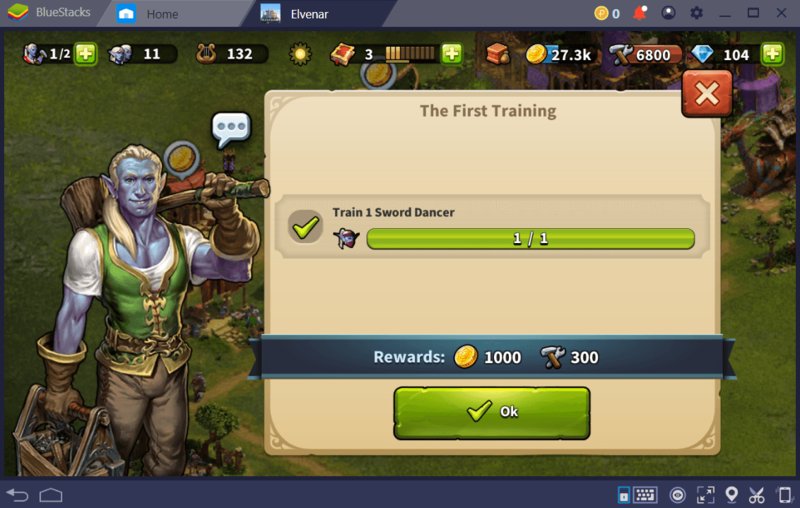 In the entire course of the game, the player will be asked to complete quests which basically include but are not limited to building facilities, upgrading buildings, increasing population, solving encounters and expanding territory. Unlike the typical MMO Strategy simulation games however, Elvenar seemingly offers a friendlier environment. It has Multiplayer functions but apparently, it doesn’t involve a PvP (Player vs Player) system. Instead, the players are encouraged to build a fellowship and help each other progress. 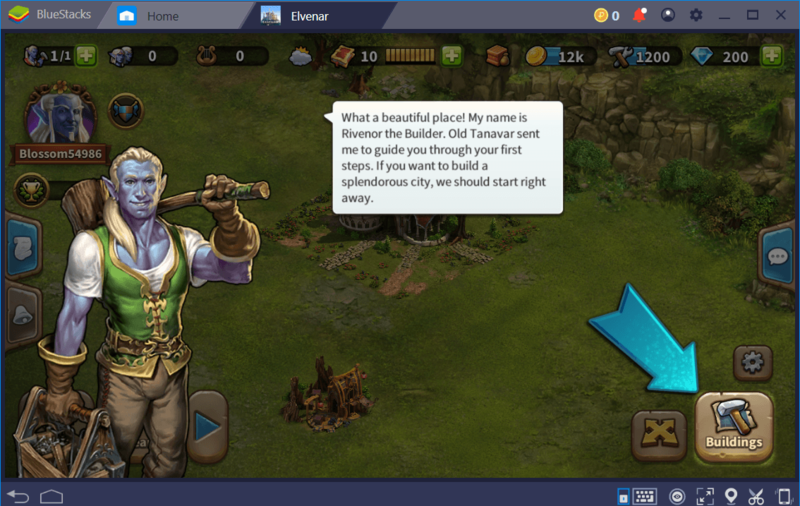 Much like any other empire building simulation game, Elvenar follows the same concept. You start off by building your town. The game will provide you some resources to start building your city. A standard initial map is composed of the Main Hall and Builder’s Hut. Main Hall is basically the heart of your city. It defines the quantity of supplies you can store for the entire city, it also tells you about the number of people you can accommodate and more. Upgrading the main hall will improve the city’s capacity and productivity. Located on the far left side of the game screen is your Quest and Notification panel. Simply click the scroll icon (Quest) to check your current mission. The goals will vary as you progress but expect the first part to be very time consuming. The first phase of the game will mainly rely on constructing new buildings and creating a more sustainable community. You need to build residences to increase population, build Workshops to gather supplies and barracks to train your army. To start building, simply tap the Building Icon on the lower right corner of the game screen. This will prompt you to the Building page. The buildings are divided into six (6) categories including the Basics, Military, Goods, Culture, Settlements and Expansions. Basics is where you can buy Residences, Workshops, Footpaths and many other valuable buildings. Military is where the barracks and training grounds can be found while Goods allow you to buy various Manufactories from marbles to gems. Settlements feature all the innovative structures while Expansions are purchased to expand your city in order to accommodate more buildings. Take note that all the aforementioned buildings should be built beside the footpath, otherwise, they will not function at all. This is entirely a different case for Culture Items. Culture items can be placed randomly on the map. Placing them will dramatically increase your Culture points which allows you to collect more taxes in turn allowing your workshop to produce more supplies. Elvenar is not about extreme territorial battles. Unlike Clash of Clans, you will not even worry about strengthening your defences to protect your city from sudden attacks. In order to expand your territory, you must explore the nearby provinces. To do so, simply tap the World Map icon on the lower left corner of the screen. This will prompt you to a huge map which allows you to track all nearby provinces. When you enter a province, you can do two things! You can either Negotiate or Fight. In negotiating, you just need to pay for the Negotiating Cost in order to solve the encounter. You can also solve the encounter by fighting the Mysterious foes. This requires you to send your squad on the battle and that’s why it is very important to train your army to make them more efficient. Elvenar takes you to a virtually stunning world. The game is adorned with colorful visuals, wonderful animation and complemented by well-fitting music to set the mood right. 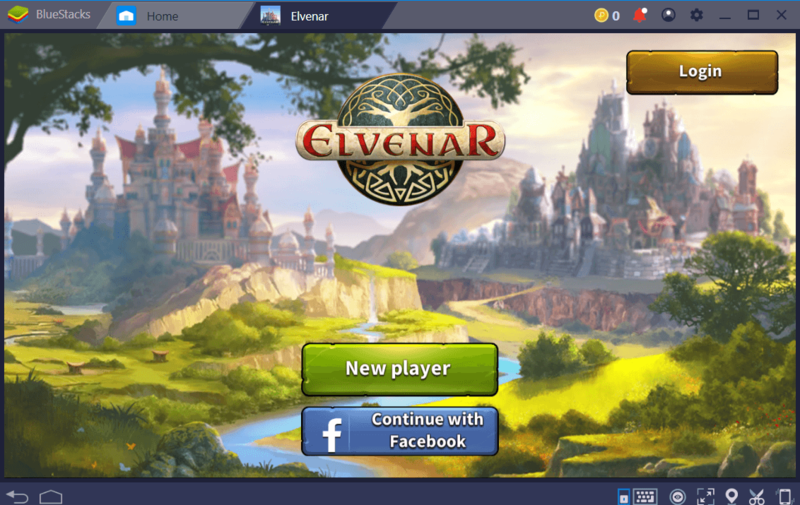 Although it works perfectly well with your standard mobile screen, players can get a full gaming experience if they play Elvenar on BlueStacks on a big screen in full resolution. Installing an app in BlueStacks is as simple as installing apps on your mobile via Google Play Store. From your BlueStacks app, simply access the Google Play Store or search for the game directly on the BlueStacks App Center and hit the ‘install’ button. That’s it. BlueStacks will automatically finish the install and notify you when it’s done. To top it all, a Shortcut icon will be established on your Desktop for quick access. Aside from achieving a better gaming interface with BlueStacks 4, you can also embrace a better gaming performance. BlueStacks 4 is considered faster than the latest Samsung Galaxy S9+ which definitely isolates all those lag issues that most gamers will encounter with low-end phones. 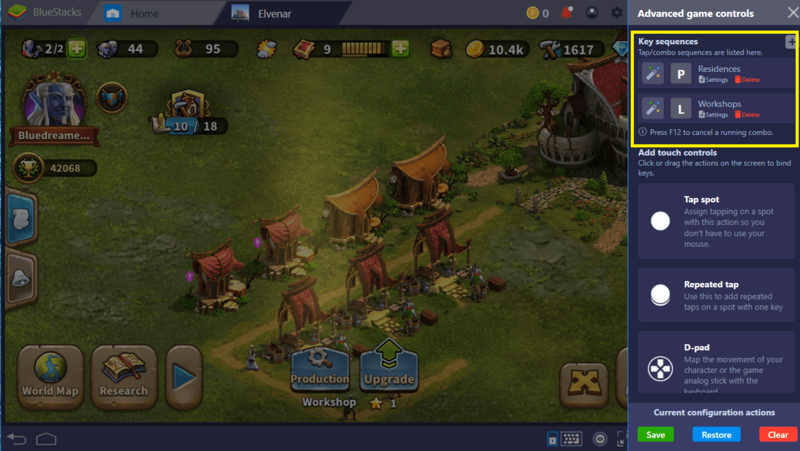 Another excellent feature of BlueStacks 4 that suits well with Elvenar is the Combo Key function. This particular feature allows you to record all your actions and perform them repeatedly using a single shortcut key. So how can you utilize this function for Elvenar? It’s easy! Much like any other empire building games, players are often tasked to collect taxes and gather resources from all the active buildings on their map. Therefore, if you managed to build a large city, collecting these resources can be very time consuming as you have to perform all actions manually. Through BlueStacks Combo Key Feature, you can perform all the required actions with a single click or two. Interestingly, this combo key function is not as complicated as it sounds. Simply click the Combo Key icon (the keyboard icon) on the taskbar to access the Advanced Game Control Screen. This feature actually allows you to add more “touch controls” but for a point and click simulation game like Elvenar, not all controls are applicable. However, you can create a Combo Sequence for this game. Simply click the “+” icon and hit the Start Button to start recording. Once done, tap the Stop button and assign a Shortcut key before saving. Personally, I find it more effective when you assign separate sequences for each type of buildings. You can create a combo sequence to collect all taxes from all the residences and you can also create another sequence to collect supplies from Workshops. So instead of clicking the building one by one, all it takes is one key to collect them all. Overall, Elvenar is truly a great game. It captures the formula of an addictive empire building simulation while providing you a unique gamer-friendly approach. 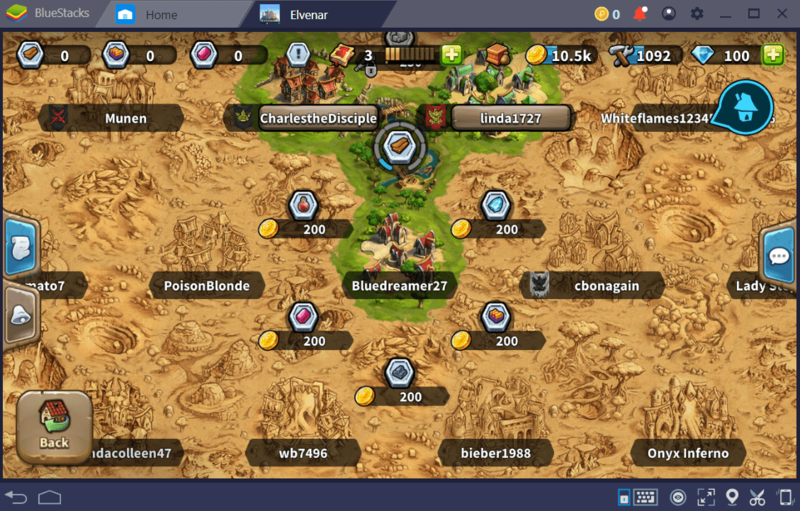 If you are looking for a competition, this may not be a game for you but if you are aiming to build friendly connection among other gamers, Elvenar is absolutely a perfect world to explore. Of course, BlueStacks 4 is the perfect platform for this game. So get ready and embark yourself on an epic journey with Elvenar! 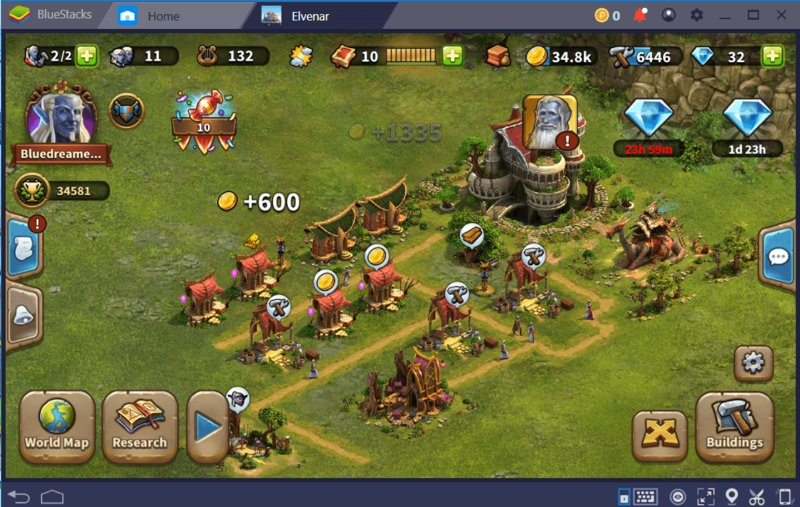 Download the game on BlueStacks now and see how far you can go!